Concerts, shows, folklore, festivals, fairs and tastings: an eventful summer in Massa Carrara and its surroundings, spend your Tuscany holidays and live culture and fun to the fullest. Here are some tips. Cultural and leisure program of the Municipality of Massa displaying concerts, exhibitions, shows, performances. Intercultural Festival which takes place in Carrara every year, it’s a trip inside countries and cultures, through discussions, conferences, exhibitions and shows. Traditional annual meeting with the beer festival in Marina di Carrara. Agriculture, Gardens, Gardens, Life at the Farm Show in Marina di Carrara Carrarafiere exhibition whole. Annual meeting with the international world of acoustic guitar: concerts, workshops, seminars, making, technique. In Sarzana at Fortezza Firmafede in May. Annual event dedicated to fans and experts, held in the historic center of Sarzana in August. Event dedicated to Comics, to games and video games; meeting with writers and producers; markets, entertainment, tournaments. 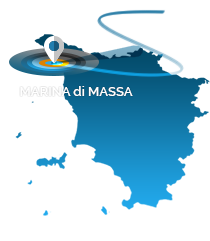 May-June, Carrarafiere exhibitions whole in Marina di Carrara. Annual appointment with the evocation of the ancient medieval market: shows, entertainment, arts and crafts, themed dinners. In August inside the beautiful medieval village of Filetto.